Since it was a long trip, and a rather unusual destination, we thought that a couple of nights in a relatively westernised environment would be a good way of getting into the place slowly. So, we stayed at the Hilton hotel in the city centre. 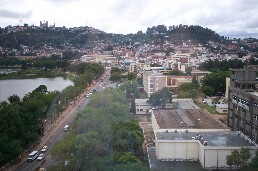 Shot taken from the hotel window overlooking the city. 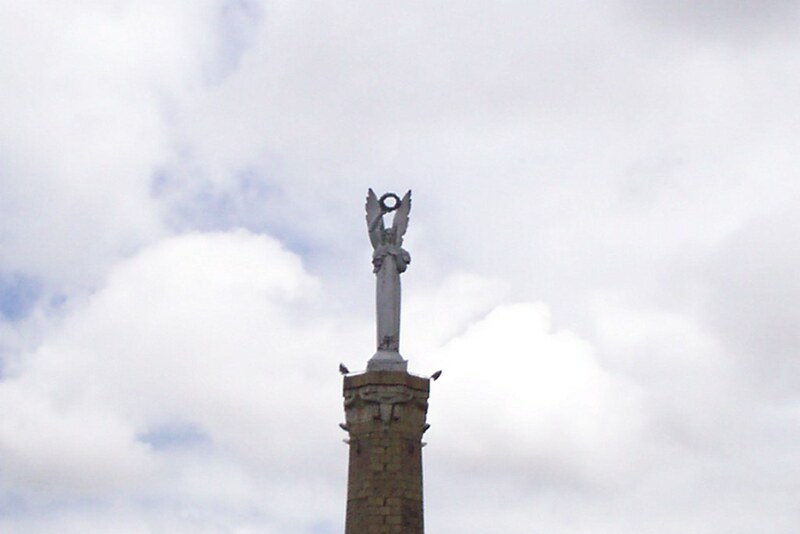 The statue in the centre of Lake Anosy, which can be seen on the left of the view from the hotel. 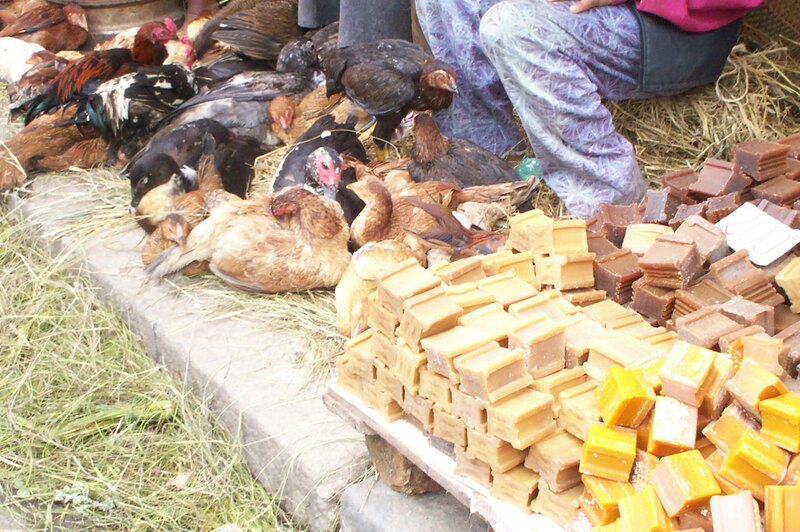 We spent quite a couple of hours wandering around the street market. The blocks are locally-made soap! These are local red crayfish. 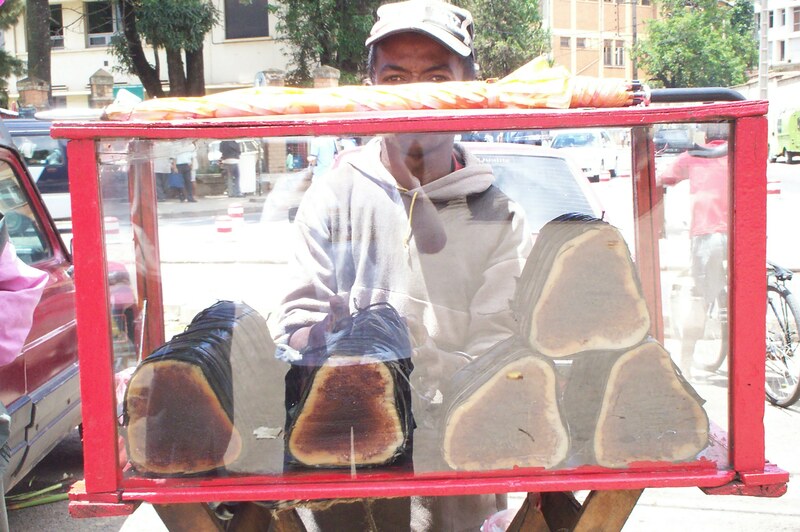 There were many vendors of this rather curious delicacy. Not sure exactly what it was, but interesting to taste. 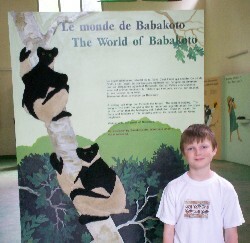 The international culture here is French - so knowing a little of the language was a big help! 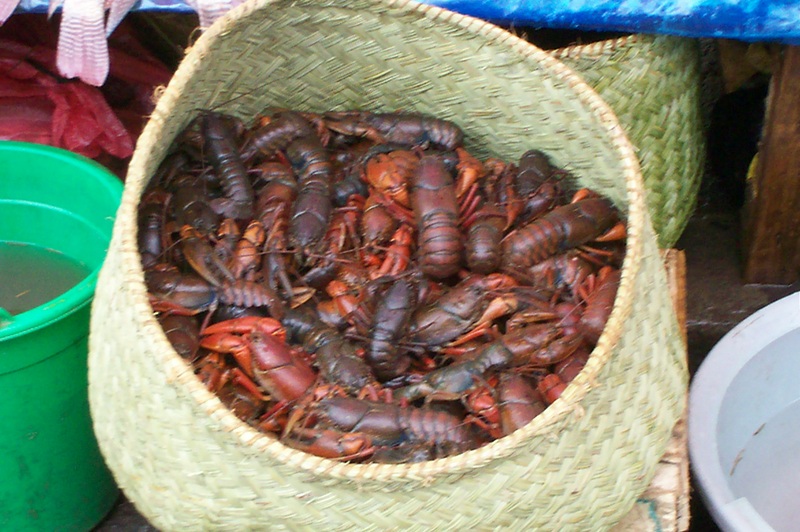 But the cuisine in the up-market places was really rather good! 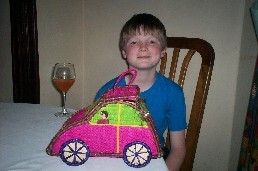 Here's Sebastian, with a wickerwork car - containing the bill! 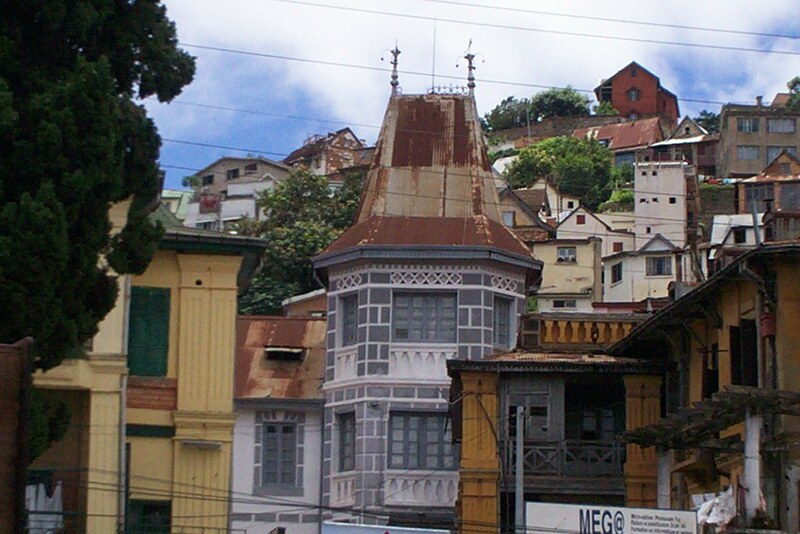 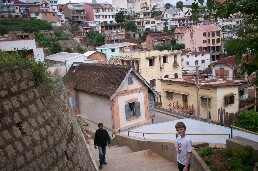 A couple of shots of the town itself, much of which is clustered on hillsides around the lake. 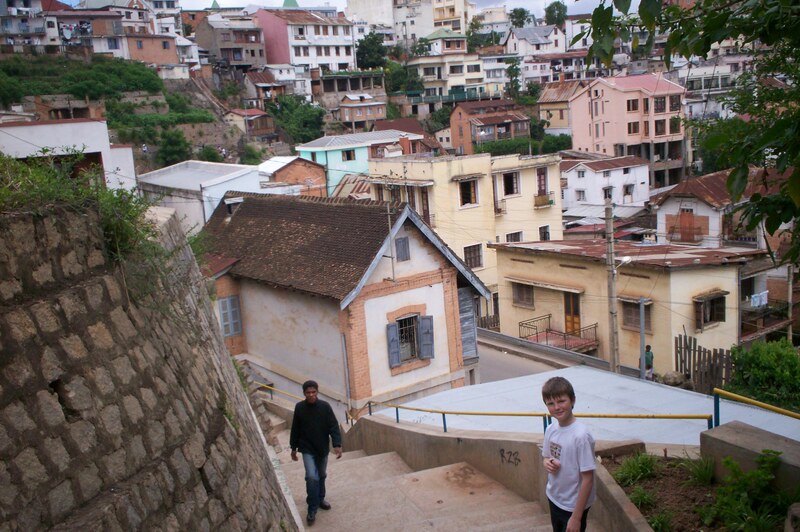 So, lots of steps and slopes. 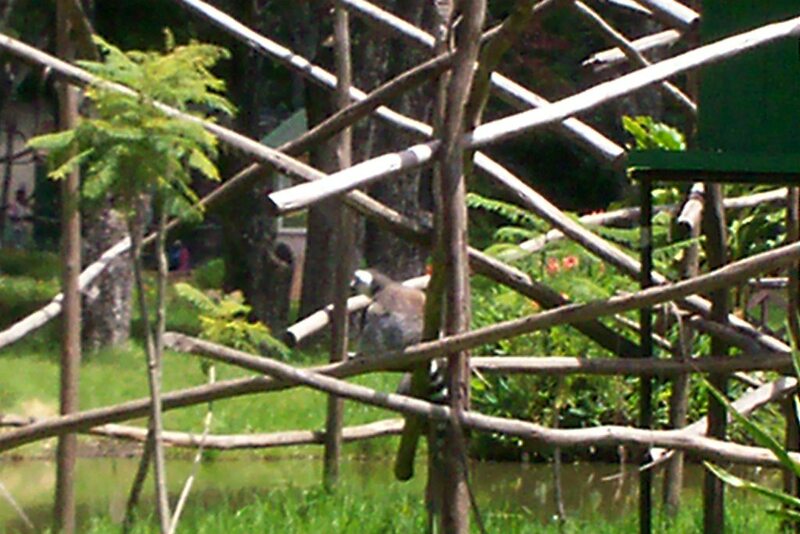 We visited the zoo, expecting (wrongly, as it turned out) that this would be the only way to see Lemurs close up. 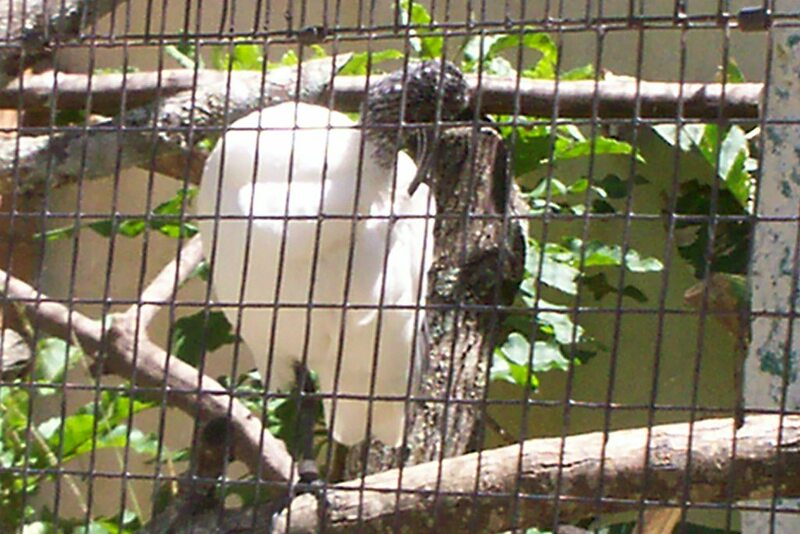 Some fascinating bird life at the Zoo. 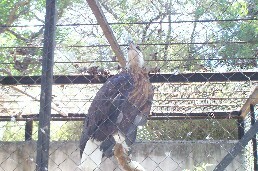 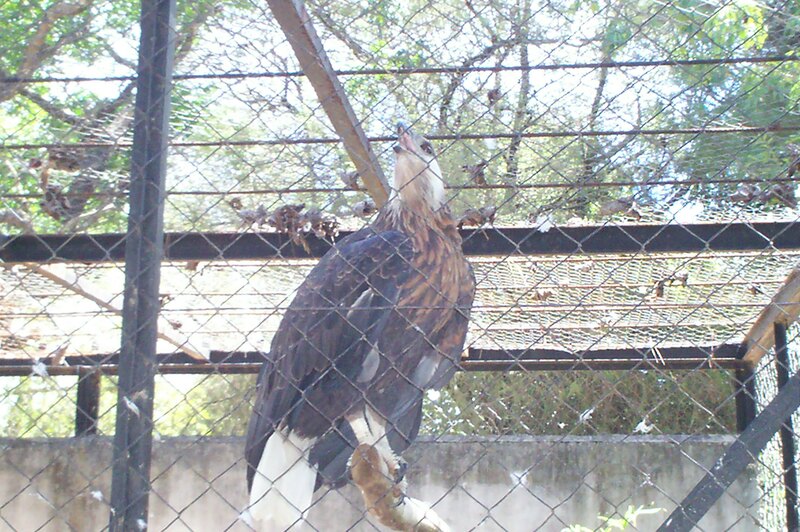 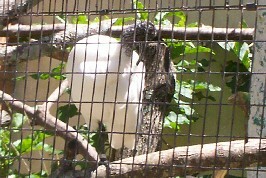 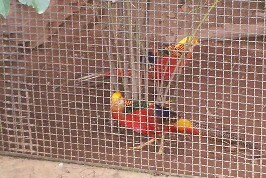 More of the birds at Antananarivo Zoo. Sebastian was fascinated by the tortoises and geckos (on his arm). 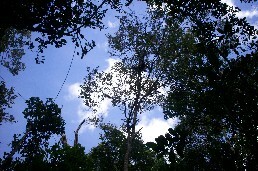 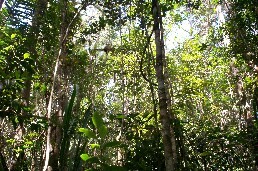 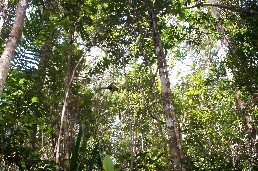 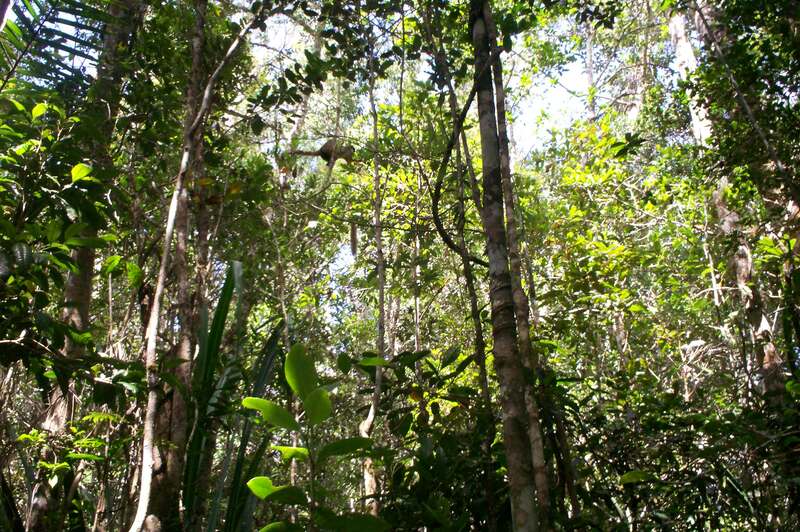 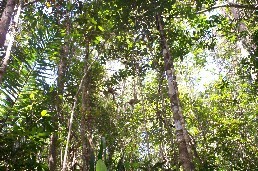 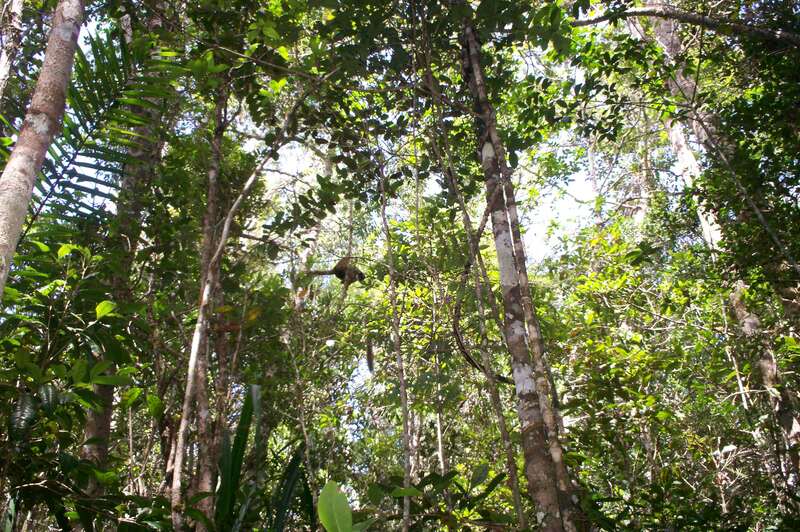 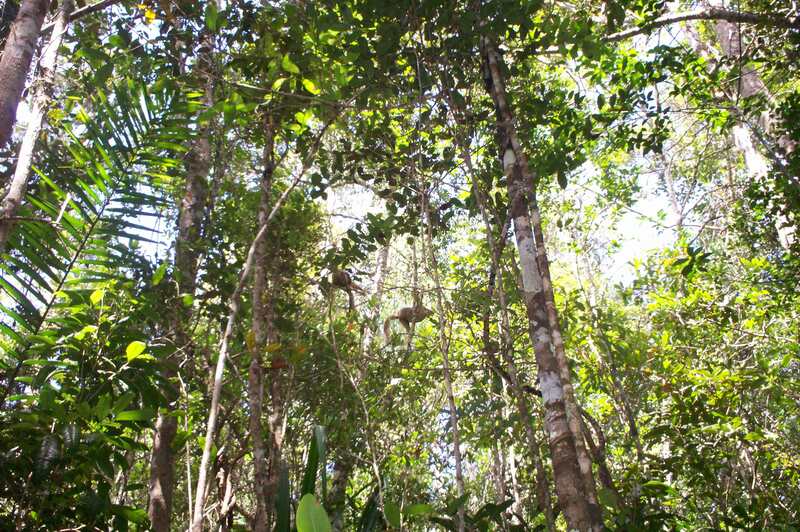 We also took a trip out to a reserve, and a guided walk in the jungle. 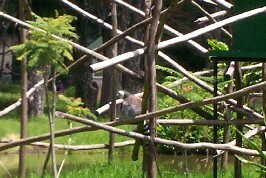 This gave us the first sights of Lemurs in unrestrained circumstances. 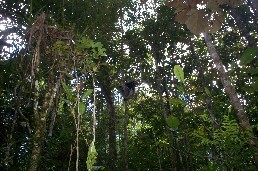 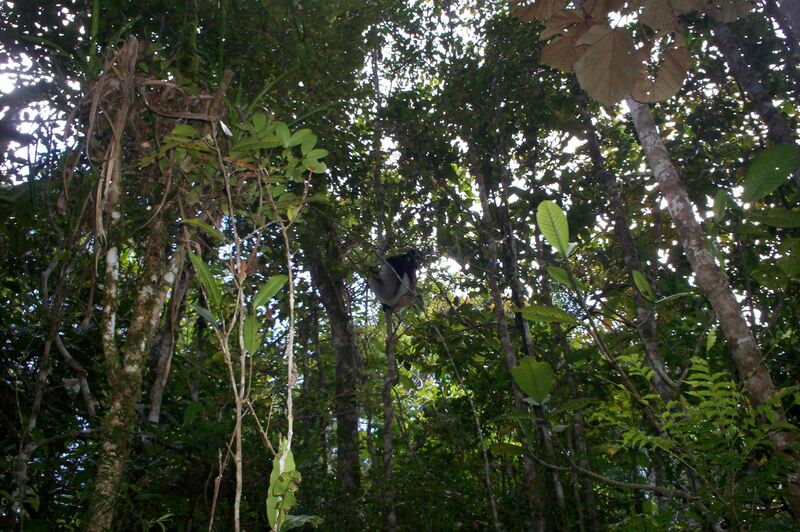 The Lemurs were leaping from tree to tree in a spectacular fashion. 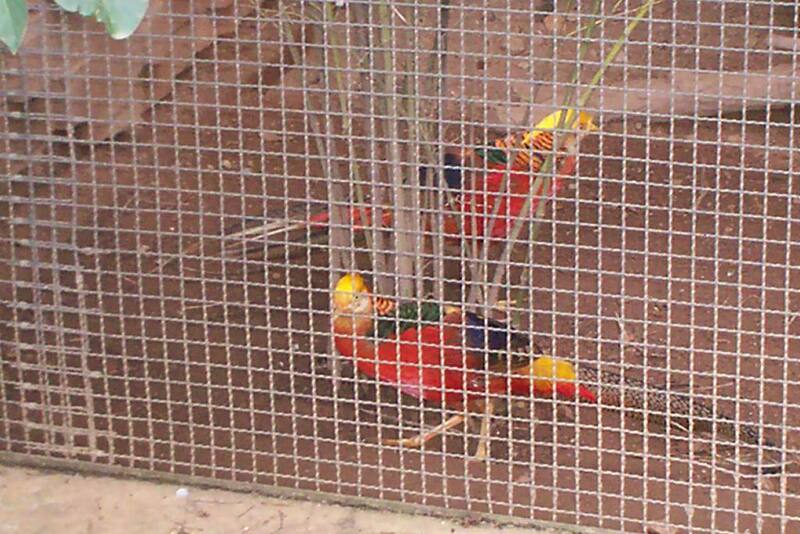 Hard to capture in pictures, though. Sebastian and Tracey in the jungle. 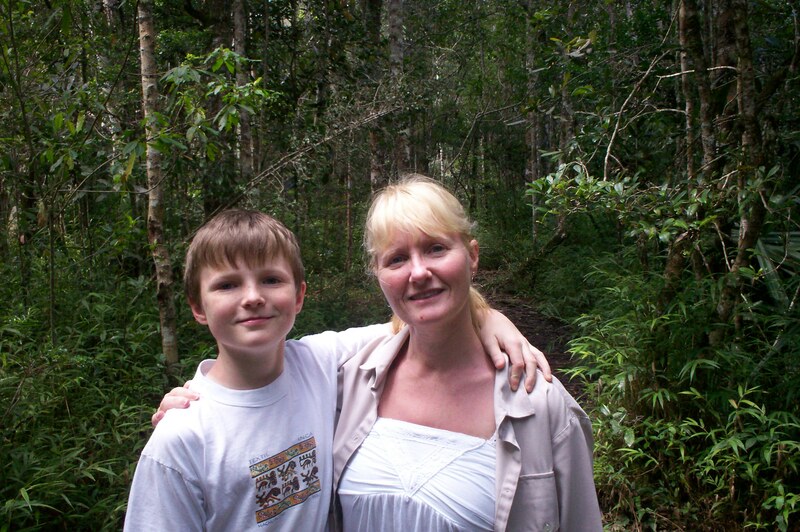 Don't ask her about leeches! 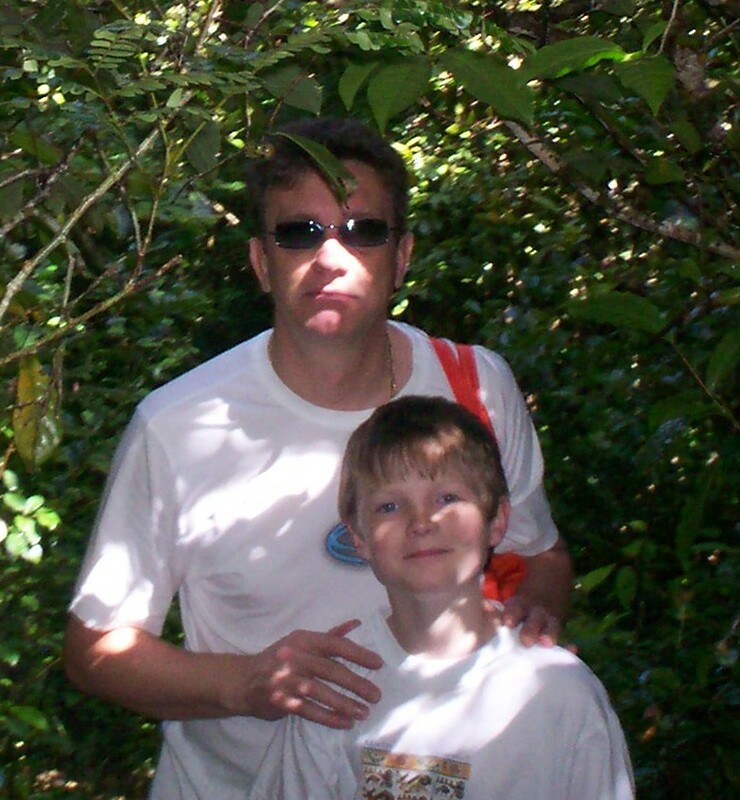 Sebastian and myself in the jungle. 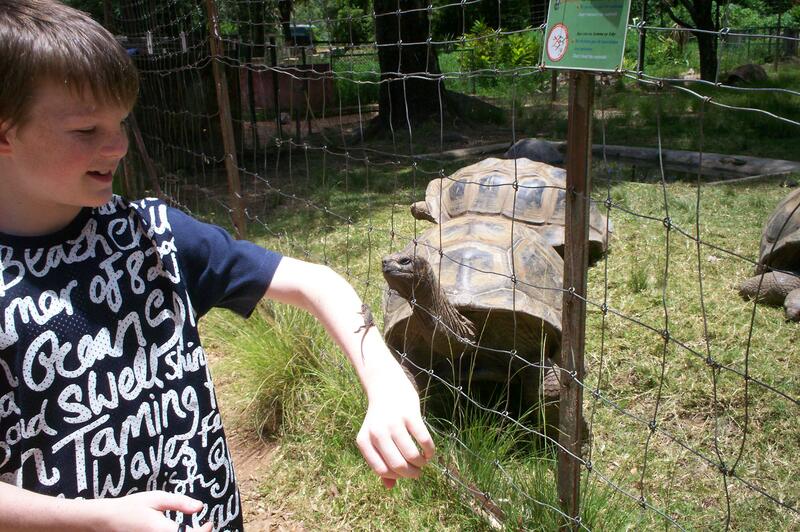 Very intrepid!